Okay so the Miswak is nothing new and has been used for well over a 1000 years in the Middle East. Some Muslims prefer it over modern toothbrushes because of it’s Oral Hygiene benefits and also because it was a recommended practice of our beloved Prophet Muhammad (peace be upon him). 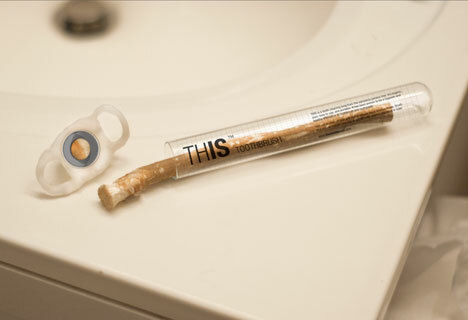 “THIS” concept aims to package and promote the Miswak as an organic and biodegradable alternative to the Western teeth cleansing routine. It’s amazing how Leen has turned the miswak into a brand-able product. 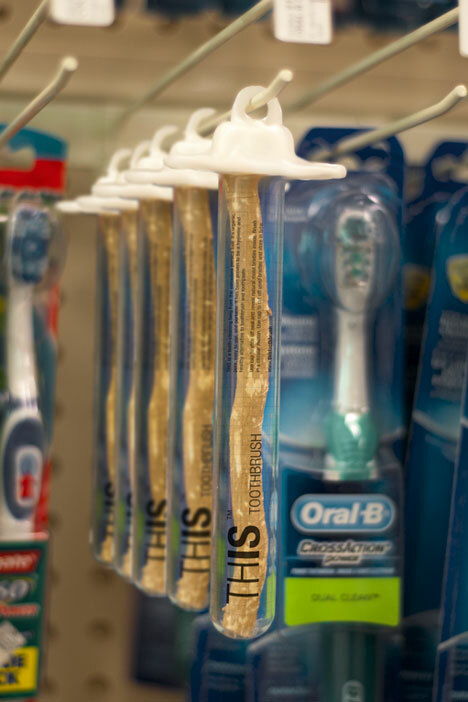 The picture on the right displays the product placement of the Leen’s miswak next to popular conventional toothbrushes from companies such as Oral-B, Colgate, Crest, etc. One unique packaging feature of Leen’s miswak is a clever cigar-cutter-like lid. This was done to make the miswak more appealing to the western audience. Pretty clever right? I think Leen’s miswak will sell just because consumers will be curious enough to try it. Besides the fact that it is very affordable, the product is in affiliation with the American Dental Association, giving it credibility and trust to the end consumer. Shout out to Core77 for sharing this!